One of the biggest challenges your child may face after your divorce is going from one home to two. No child, whether young or older, likes the prospect of having his life and routine disrupted. Moving back and forth between Mom’s house and Dad’s house will likely cause some anxiety on many levels for most children. Here’s what you can do to make the transition easier for your child. 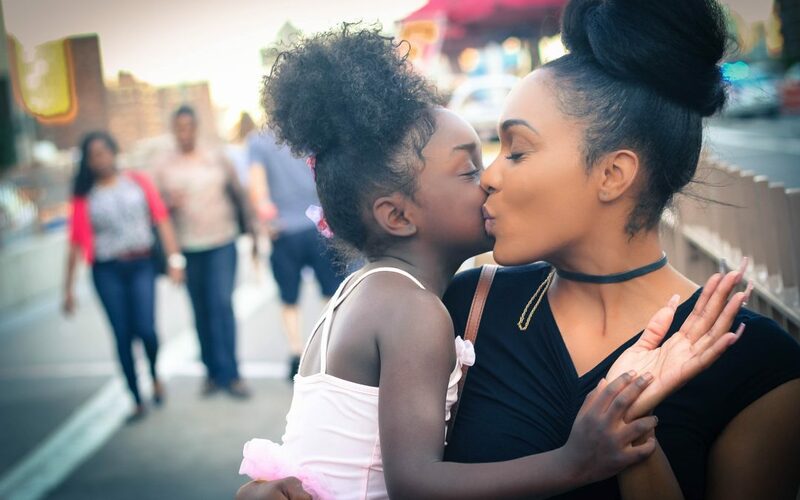 Encourage your child to embrace the positive aspects of her situation: a new home means a new house or apartment, a new neighborhood to explore, and probably a new room to call her own. Help your child pick out new furnishings, new bedding, and maybe a new paint color or wall art that will personalize her new space. Even if she has to share a space with another sibling – at your house or your co-parent’s house – make sure she has a space she can call her own. Sometimes too much newness can be stressful for a child, especially for the very young. Your child will feel more comfortable in his new home when he has some familiar belongings there. Consider splitting your child’s belongings between both homes. If this isn’t possible, then provide duplicates of a few special items – a favorite toy or nightlight – for his new home. Some items that cannot be duplicated, such as a special blanket or stuffed animal that your child simply cannot do without, will have to travel between Mom’s and Dad’s house. Even the packing and unpacking for trips between homes can be stressful for a child – and for you. To make it easier on everyone, both homes should have items basic items such as pajamas, undies, a few outfits, and toiletries on hand. Not only will this cut down on the amount of packing your child has to do for each trip, but it also lessens the chances of her not having a toothbrush or some other item she uses on a daily basis. Avoid waiting until the last minute to pack her things. Packing the day before will help both her and you avoid the stressful last-minute scrambling to get out the door; it will also help her to mentally prepare in advance that she will be going to the other parent’s house soon. Providing a predictable routine for your child helps to reduce the anxiety of moving between his parents’ two homes. In a perfect world, both parents will maintain similar schedules of meals, playtime, homework, and bedtime, and have similar rules for TV viewing, video gaming, and time spent on cell phones. But even if you and your co-parent can’t get in sync with each other, having a predictable routine in each house will go a long way in creating normalcy for your child. A special routine during transitions between your child’s two homes will also help alleviate the anxiety he may feel. Talk positively about his trip to his other home, and discuss any misgivings he may have about it. Make a plan of how and when you will keep in touch with him while he is away (and do so in a way that is respectful of your co-parent’s time with him). Also, create a special routine for his return home to you. This should be something low-key, like sharing your favorite meal together, watching a movie, or playing a game. Helping your child learn to live happily in two homes will take a little time and perhaps more than a little effort, but it’s worth it when the result is a happier, better-adjusted child. If you need more co-parenting resources, or if you need legal advice about child custody arrangements, contact us at Christine M. Howard Law. Life after divorce can be a scary and stressful time: “normal” as you have known it is forever changed – for you and your children. Children of divorced parents often struggle with feelings of sadness, confusion, anger, or fear. Even if children tend to be more resilient than adults, divorce can inflict painful, emotional wounds that may be felt long after the divorce has been final. So what can you do to help your child emotionally heal after your divorce? We’ve all heard that safety speech the flight attendants give before the plane takes off – the one about what happens when cabin pressure fails. They tell you to put the oxygen mask on yourself before you assist your child, which seems backwards somehow. Shouldn’t we always take care of our kids first? But think about it – you need to make sure you don’t pass out from lack of oxygen so that you can take care of your child. The same holds true when it comes to healing after divorce: the best way for your child to heal is for you to be healthy and strong first – physically and emotionally. Take care of your body. Eat well, exercise, and rest. A strong body can usually deal with stress better. Talk to a counselor or therapist to help you work through the emotional issues you’re dealing with. Find a support group that will not only encourage you when things get rough, but also help you acquire some coping skills to get through the tough times ahead. Create a support system of family members, friends and trusted babysitters that will allow you to take a break when needed. Taking time for yourself to work through emotional issues or simply to rejuvenate will make you a stronger parent. 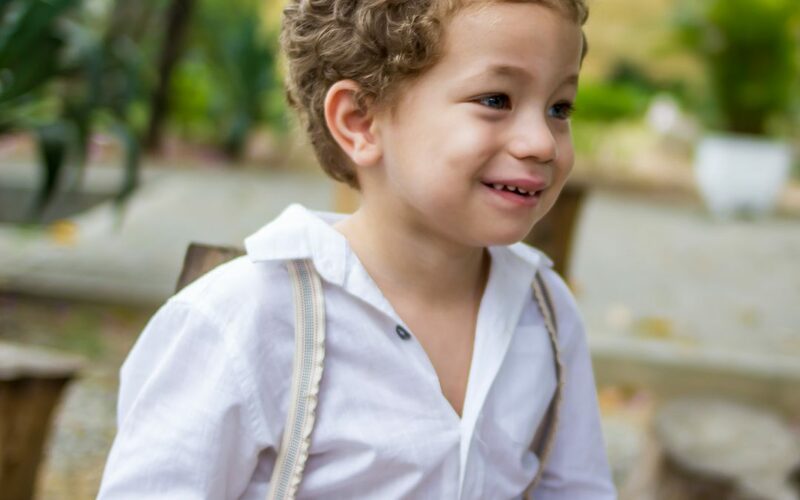 No matter what happened between you and your former spouse, don’t try to make your child see your point of view or try to justify the divorce to him; children rarely will be convinced that the divorce was “for the best,” no matter how necessary it may have been. Don’t put your child in the middle of disputes between you and your former spouse by using him to relay information. Your child should always be shielded from family disputes or conversations about visitation schedules, finances, or other difficult issues. When you need a shoulder to cry on – or someone to vent to – lean on family members or friends, not your child. Your child needs to know that you are there to take care of him, not vice versa. This will give him a greater sense of security and relieves him from worrying about you. The first thing you must communicate to your child is that she had nothing to do with the divorce. And reassure her that she is loved and wanted by both parents. Share your feelings about the divorce with your child. When you name the feelings you have about the divorce or the sadness you feel because the family is no longer intact, you create a safe place for her to share her feelings about the divorce as well. Invite your child to ask questions to help reduce her anxiety and fear of the unknown. Keep in mind that children process things at a different pace than adults, so her questions may not come out all at once. Healing after divorce can be a long process, but most children can find healing with time, patience, and loving support. If your child has great difficulty adjusting, however, consult a mental health professional for help. Co-parenting after a split is one of the most challenging aspects of divorce. Getting past the anger, resentment, or painful history you may have with your ex and moving on with your life may already feel like a monumental task. But putting aside personal issues is crucial to being able to co-parent your children. Put simply, co-parenting, also called joint parenting or shared parenting, is cooperatively raising your children with the other parent after separation or divorce has occurred. Even while separation inevitably changes the way families work, parents who are committed to co-parenting with empathy and positivity can still be a source of stability and comfort for their children. Will it be easy? Perhaps not. It will require cooperation, flexibility, and patience from both parents. But it is possible when both parents make the needs and the wellbeing of their children – not their personal differences – their focus. How do we make co-parenting work? Aside from the obvious requirements like commitment and determination, there are many things to consider to make co-parenting a success. Your co-parenting experience and outcome will be more positive if you being with a co-parenting plan. The co-parenting plan – also known as a parenting agreement – is a written document that spells out how you and the other parent will raise your children after separation or divorce. 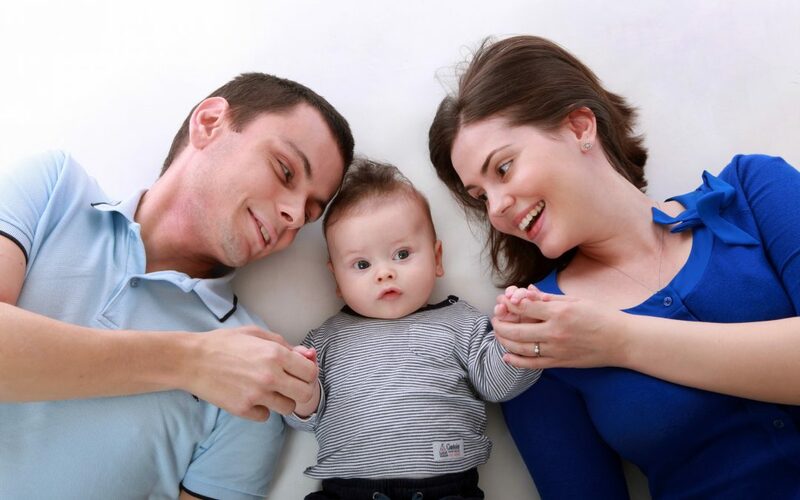 Your co-parenting plan will likely be highly structured at the beginning. However, the plan will likely require reevaluation as your children’s needs or the parents’ circumstances change over the years. Your attorney can walk you through the drafting of – and future revisions to – this very important document. This doesn’t mean that your feelings aren’t important. If you need to vent, reach out to a friend, family member, or therapist. Venting to or in front of your kids will only add to their post-divorce stress. In all your communications with your co-parent, resolve to conduct yourself with dignity. Effective, conflict-free communication is the goal. So, if talking on the phone with your ex always ends in an argument, use emails or text messages for most conversations, and keep the focal point on the children. Use a cordial, business-like tone in your messages that reflects neutrality and respect. Consider scheduling a weekly status meeting, or sending weekly status updates about your children’s activities or important events. And the wellbeing of your children is the main thing. Co-parenting has its challenges. But when it’s done right, the result is happier, better adjusted children. Let the legal team at Christine M. Howard help you come up with a compassionate co-parenting plan that suits your unique family situation. One of the most emotional and difficult parts of going through divorce is determining the custody of the children. It’s hard for parents to imagine not being able to spend every single day with their children. But what is even more difficult is watching your children suffer emotionally as they see their parents fight over who gets custody of them. A compassionate attorney will listen to your wishes as it relates to the custody of your children and help you set realistic expectations as you work through child custody issues. What is the definition of child custody in South Carolina? When we think of child custody, we usually think that means where a child will live. However, there are two kinds of child custody – legal custody and physical custody. Let’s look first at legal custody. There are two types of legal custody – sole legal custody and joint legal custody. Sole legal custody means one parent gets to make the major decisions in the child’s life. This kind of custody is usually the choice of the judge and is awarded in cases where the parents simply cannot work together at all, or when one parent cannot or will not make decisions that are in the child’s best interest. When parents have joint legal custody, they work together in making the big decisions about their child’s life. This type of custody works well with parents who are able to communicate with each other and who can set aside their differences to do what’s best for their child. In addition to determining the legal custody of your child, physical custody must also be determined. Physical custody refers to the time a child spends with each parent. Like legal custody, physical custody can be sole or joint. Keep in mind that although there was once a preference of the courts to award physical custody of a young child to the mother, this is no longer the case. When it comes to deciding issues of custody (as well as visitation and support), South Carolina child custody laws will uphold the best interest of the child above all else. In addition, a judge will consider the ability and willingness of each parent to encourage a meaningful, continuing relationship with the child and the other parent. This helps a judge determine whether sole or joint physical custody would be in the best interest of your child. Sole physical custody typically means one parent is awarded sole custody with the other parent having visitation rights. In cases like these, a court will determine what type of visitation is most appropriate for the child. When the parents have joint physical custody, time with each parent is divided in a way that is best for the child. This doesn’t necessarily mean that time with each parent is split 50/50. Joint physical custody most often means that the time is divided in a way that suits the child’s needs. Christine M. Howard is a family law attorney that believes “custody with compassion” is possible. Her experience in family law will help you work out a child custody plan that has your child’s well-being at heart. Let’s face it. The process of determining child custody typically isn’t described by the word “compassion.” On the contrary, the word most often used to describe this process is “battle.” Too often, children of divorcing parents end up as collateral damage as the result of a difficult child custody fight they never asked to be a part of. But while determining child custody doesn’t have to be a battle, it isn’t a passive process either. It takes a concerted effort and commitment from both parents to put the best interest of their child (or children) first. And it takes compassion. At Christine M. Howard Law, we call this “custody with compassion.” You’re probably asking yourself, “Is this really possible?” We believe it is. We believe in it so strongly that it’s a core value at our firm, and we are dedicated to helping you work toward that end from the moment you contact us. 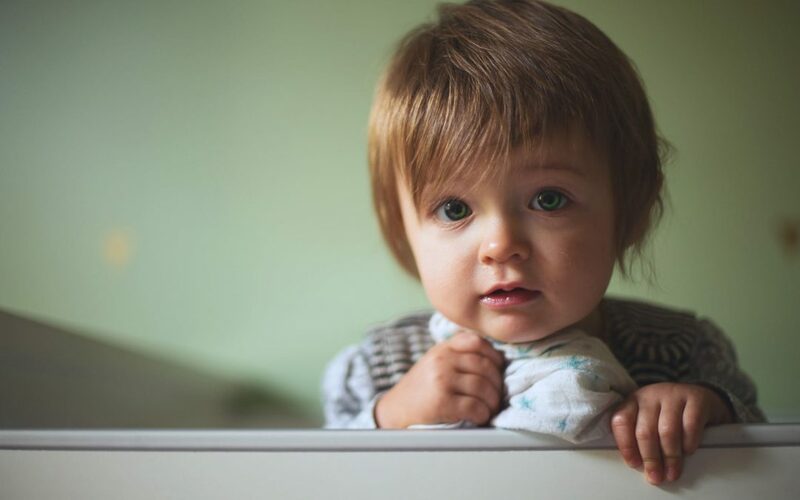 We know how incredibly traumatic it can be for a child – whether it’s a young child or an older one – to see the dissolution of their parents’ marriage. Children of all ages need to know that even if the marriage is no longer intact, the family still is. When custody with compassion is the goal, both parents will be committed to doing what is best, custody-wise, for their children. And when this goal is achieved, it results in a healthier, more positive outcome for both the child and the parents: the child retains a better sense of family wholeness, and the parents will be more likely to succeed at co-parenting.